Why Valentine Flowers? Flowers make for the best gifts to express the feelings of love when we fall short of words. MyFlowerTree gives you a chance to impress your beloved with our freshly-picked Valentine flowers and express your deepest feelings and desires in the most exquisite way. Get them hand-delivered by our expert florists available locally. Ever wondered what’s the most beautiful place in the world to be in? It’s the arms of your loved one. But how often have you expressed yourself or conveyed your emotions? How often have you told them they mean the world to you? If you haven’t done that often, there couldn’t be a time better than Valentine’s Day. There could be umpteen ways to make them smile but it’s always wise to go with what has always topped the charts, that is, Flowers. Make the most of this day and etch your love in the heart of your loved one with fascinating Valentine flowers. Known to be the most beautiful expressions of love and affection, it’s time to hit the mark with beautiful Valentine flowers during the season of romance. With a variety of specially crafted flowers to make someone’s day, be sure to create an amazing impression of love with your gift. We have online Valentine flowers not just for your soulmate but everyone you love so that you make this Valentine’s a day to remember by celebrating all your special bonds of love. While it’s easy to create moments of romance on an ordinary day, doing the same on the special Valentine’s Day will need more efforts for an extra dose of magic. Choose the right Valentine flowers and make an expression of love that shall be remembered forever. 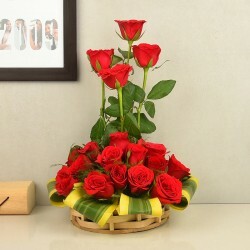 If you wish to gift Valentine Day roses, make sure you know the significance of different number of roses. While two roses stand for mutual affection, three roses on Valentine’s Day would subtly speak “I Love You” on your behalf. Besides, different colour of roses send out different messages too. Red Valentine roses are a symbol of love, pink stands for unconditional love and appreciation. Likewise, different Valentine flowers like carnations, gerberas, lilies and so forth have different meanings. 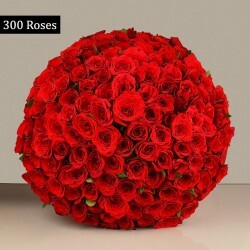 At MyFlowerTree, get the most thoughtful assortment of Valentine flowers online based on their meanings whether you wish to give it to your sweetheart or someone in your family. So, buy Valentine Day flowers online after you know these flowers and their meanings to let out your right emotions without saying a word. For instance, if you wish to thank your mom for her unconditional love and support throughout, send her favorite Valentine’s Day flowers; red, pink, white, yellow and so forth to demonstrate your true love for her. Choosing just a bunch of flowers doesn’t do the job. Make sure you express exactly what you feel and let your dear ones understand your efforts. 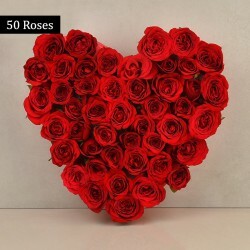 Count on MyFlowerTree for best Valentine’s Day flowers online and let us do the rest. Opt for exotic lilies, sizzling roses, fascinating orchids, magical carnations and a lot more. We have a diverse assortment of Valentine flowers to make the right impact. From Awesome 100 Roses to Sunshine 60, Breath Of Love to Serene Beauty, the list of beauties is endless. Make your gift count by making the right pick. We promise you the freshest bouquet of Valentine blooms crafted ardently by our experts so that you don’t miss out on expressing what’s on your mind. 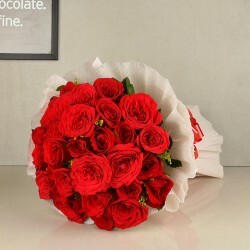 With us, you can send not just Valentine Day flowers online but go an extra mile by creating your heartfelt combo of additional Valentine Day gifts online available with us like teddies, personalized Valentine cakes, cushions, customised “I Love You” Valentine Day chocolates, cards, coffee mugs and a lot more. 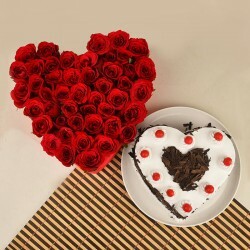 So, choose the very best Valentine hampers online for your special ones and make their day. Stir romance with our special arrangement of Valentine’s Day roses like room full of roses and special Valentine flower delivery on 7 days of the week. We also customise alphabet flower arrangement with the initial of your sweetheart and help you surprise them like never before with nothing but the best assortment of Valentine flowers online. We also have popular and superbly loved combos if you wish to show a little extra love. You may choose from the categories like Flowers with Cakes, Flowers With Chocolates, Flowers With Sweets etc to sweeten your bond. Whether your loved ones stay near or far, MyFlowerTree is always here to make it easy for you on this special day with Valentine flower delivery. Gone are the days when you needed to hop from one shop to another to find your right gift of love. 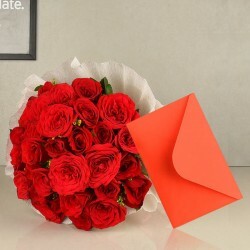 With MyFlowerTree, you can sit at the comfort of your home and order for Valentine Day flowers online in India. If you are located thousands of miles away in any other country, all you need to do is log in to our portal and send love in a jiffy to your dear ones in India with our fast flower delivery on Valentine’s Day and all special occasions. With our presence in more than X cities throughout the country, you can choose to send Valentine flowers online and we assure to make a timely delivery your emotions. Not just this, our competitive prices and irresistible discounts are sure to solve all your doubts. 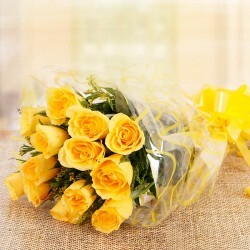 Curb the miles without breaking the bank with your reliable online floral store, MyFlowerTree. 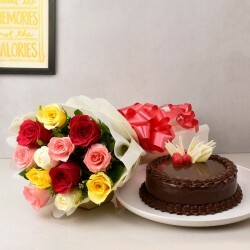 We not only make doorstep delivery of online gifts on Valentine’s Day and all special occasions but also at your chosen time slot. Whether you plan a day delivery or a midnight surprise of Valentine flowers, cakes or gifts, we shall do it for you. We extend our services to offer same day delivery for all your last minute realizations and midnight delivery services on Valentine’s Day and for other celebrations if you wish to make it super special for your significant other and shower them generously with love. With our minimal shipping costs, hassle free delivery and on time services, why think twice if you wish to make someone dear feel special? 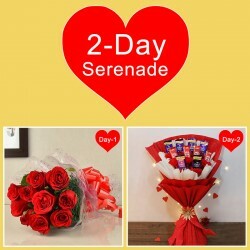 Buy special Valentine’s Day flowers online from MyFlowerTree and make moments magical.